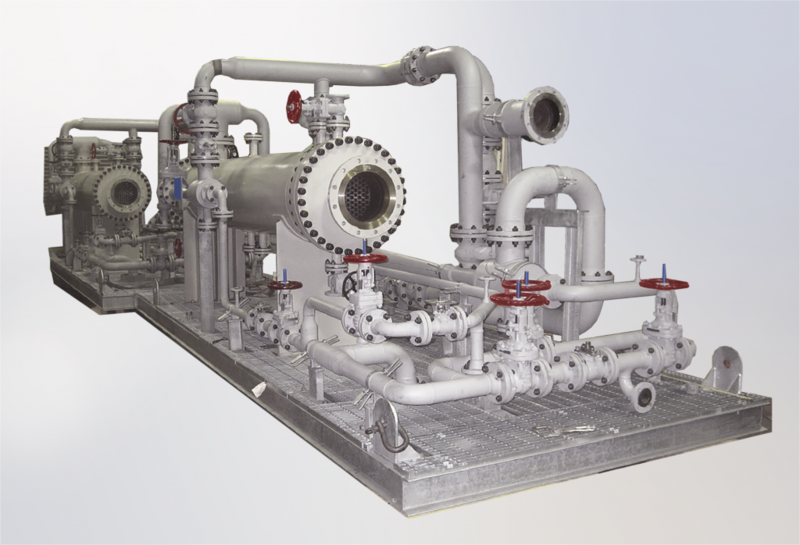 Process-Powered ejector systems are powered by motive fluids other than steam and are packaged, closed loop systems which include ejectors, vaporizing systems, piping, condensers, pumps, instrumentation, and controls. Process-powered systems are commonly driven by monochlorobenzene, phenols, glycols, ethylene, and hexane. These specialized multistage systems find application in fine chemical and polymer plants and are specified when valuable product can be recovered from the process stream and contamination of the process with steam/water avoided. The use of organic motives in process powered systems, instead of steam, also reduces the amount of energy required for plant operations. Process-Powered Systems can be designed as Ejector or Hybrid Ejector – Liquid Ring Vacuum Systems.